Approx. Size: 2" x 2 1/2" base. The Memo Holder has a Tiny One mounted to The painted stone resin base . 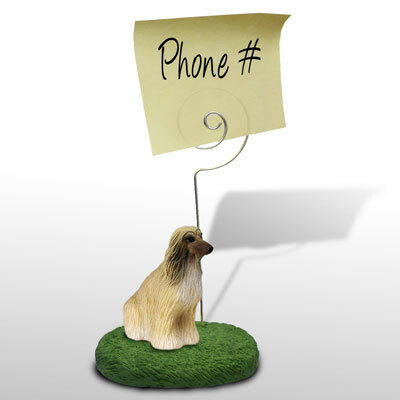 The memo holder is a Silver Tone wire 4" high.